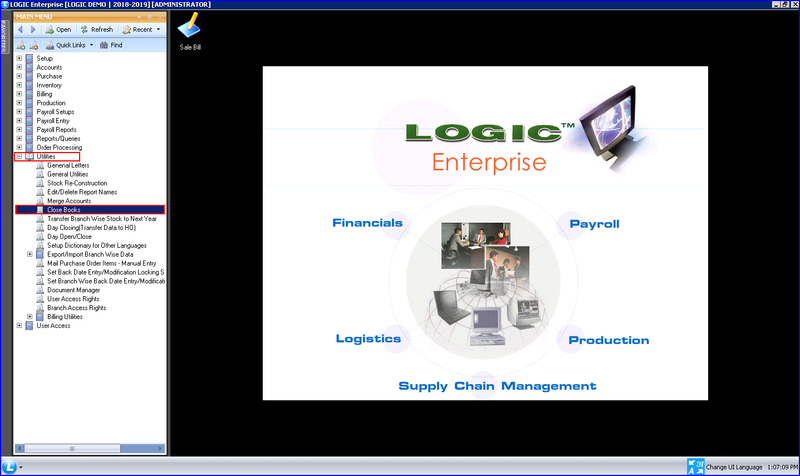 This is a step-by-step guide to help you understand how you can perform Close Books in LOGIC ERP. 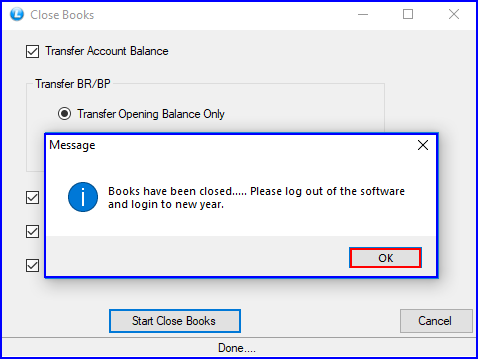 When you login in the software on or after 1st April and you haven’t performed close books, then close books window will automatically open prompting you to perform close books before using the software. 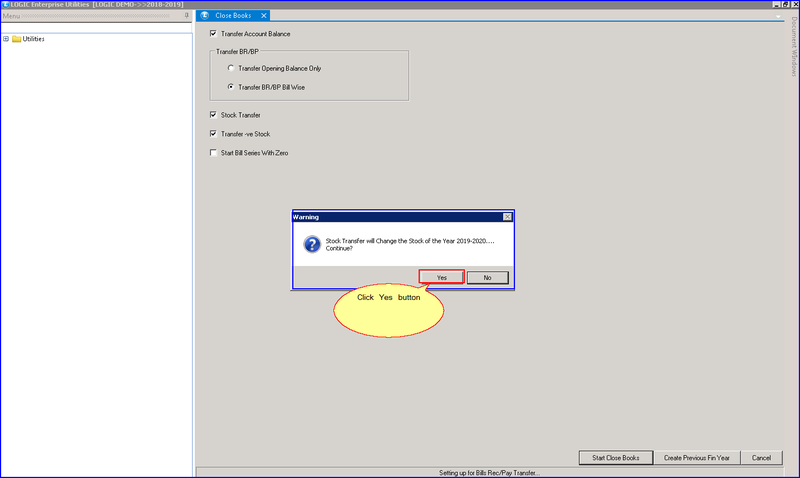 You can also click on cancel to continue work in the previous year and later perform close books. **Please read following options carefully. 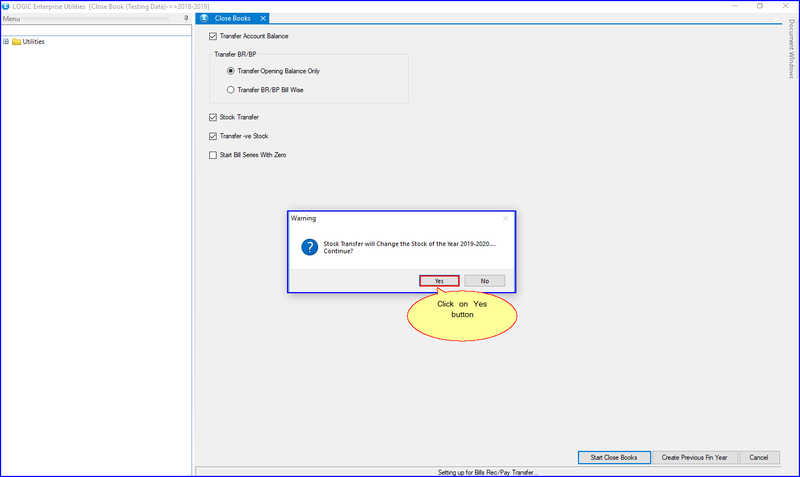 Transfer Account Balance: Select this option to transfer the account balance data to next year. If not ticked, then A/C Balance will not go to the next year. Transfer Opening Balance Only: Bill receivable/payable will be posted as Opening Balance, not Bill Wise. 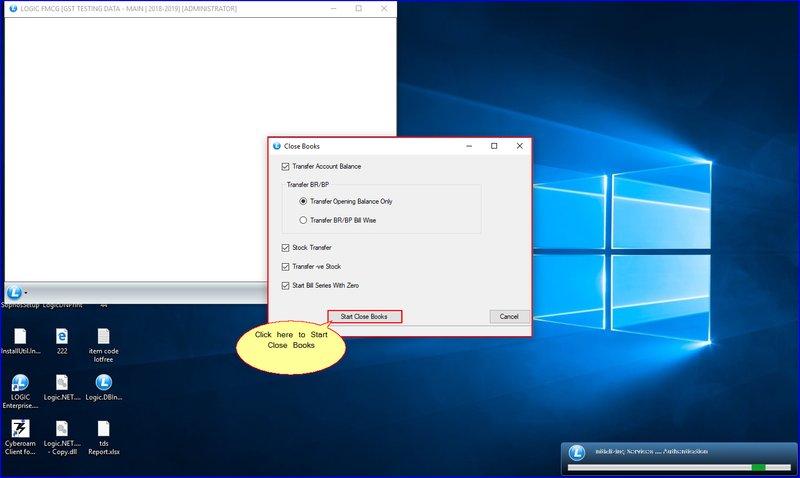 Stock Transfer: Select the option to transfer the stock data. Transfer -ve Stock: If there’s -ve stock that you want to transfer to next financial year, then select this option. 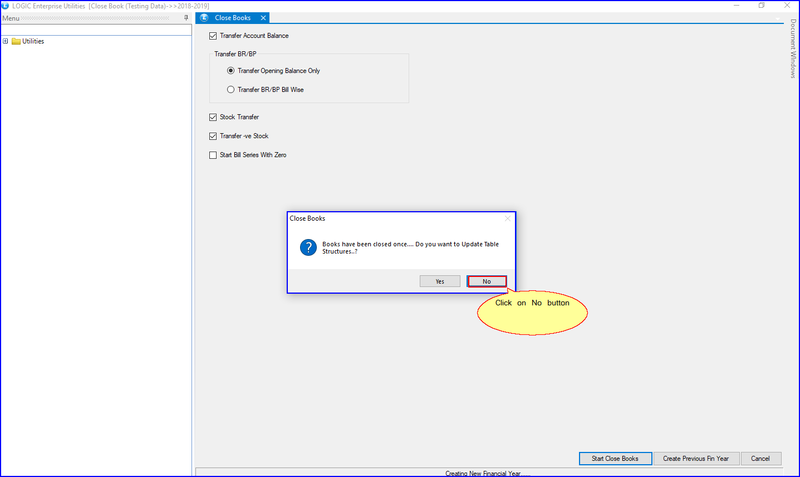 Start Bill Series With Zero: This option will be already ticked. It will start the Bill Series from zero in the next financial year. 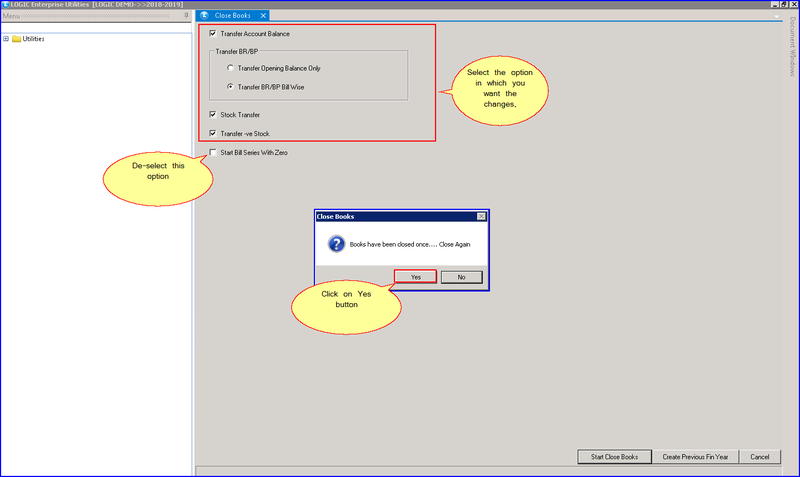 Step-3 Click on Start Close Books button. 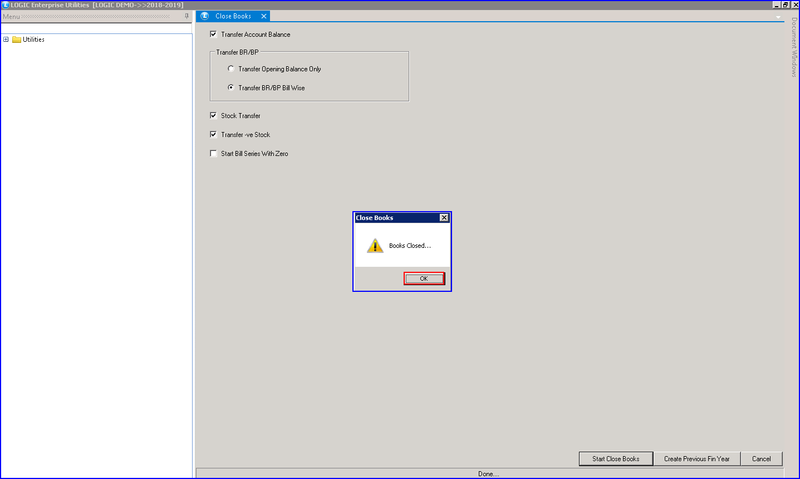 A ‘Warning Message Box’ will appear. Make sure to carefully check the New Financial Year details. It should be 2019-2020. After that, click on the Yes button. 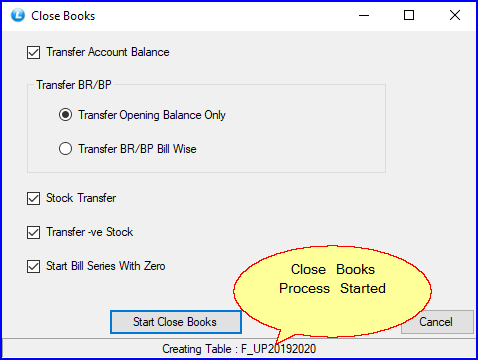 Close Books processing will start. Step-4 After the processing is complete, click on OK button. 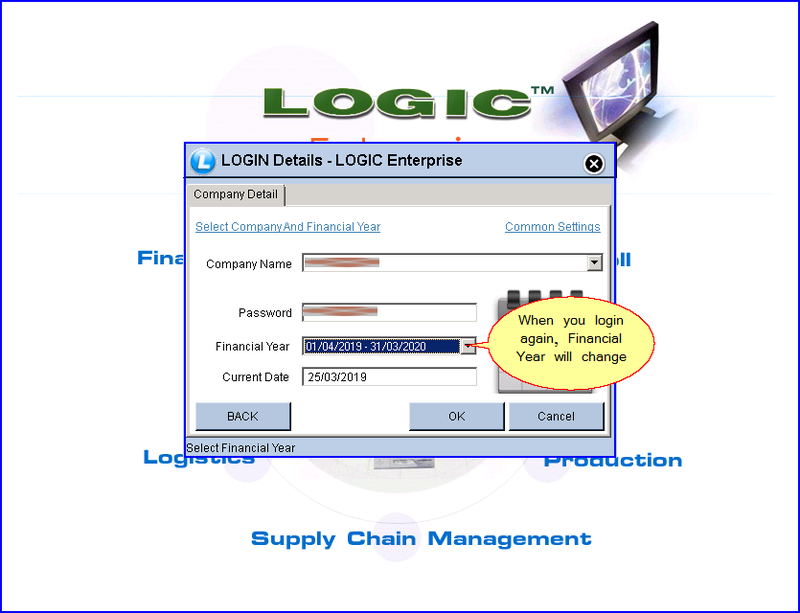 Now, when you will log in into your software again, you will notice that the financial year has changed. 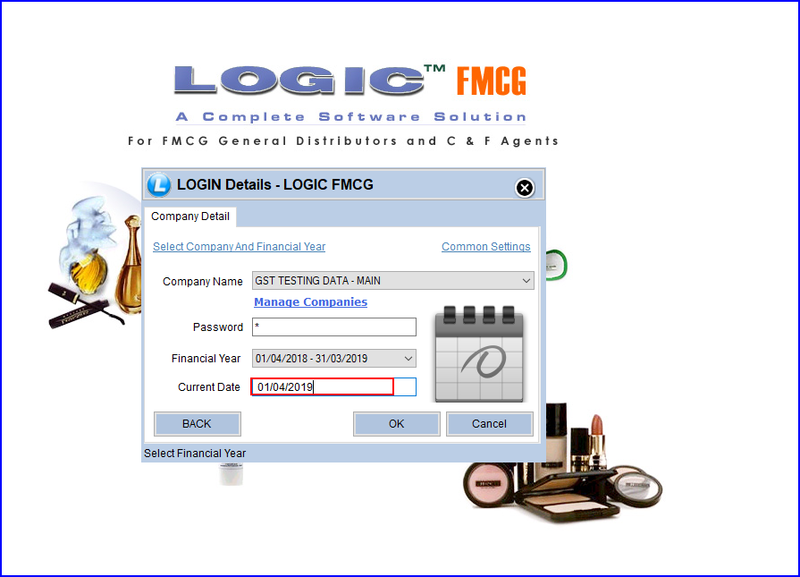 Step-1 Login into the software in the new financial year. 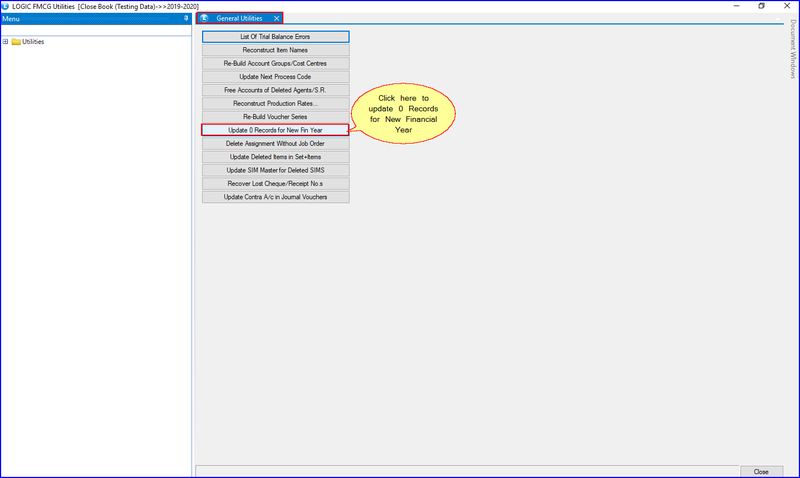 Step-2 Now, Go to ‘Utilities>General Utilities‘ window. 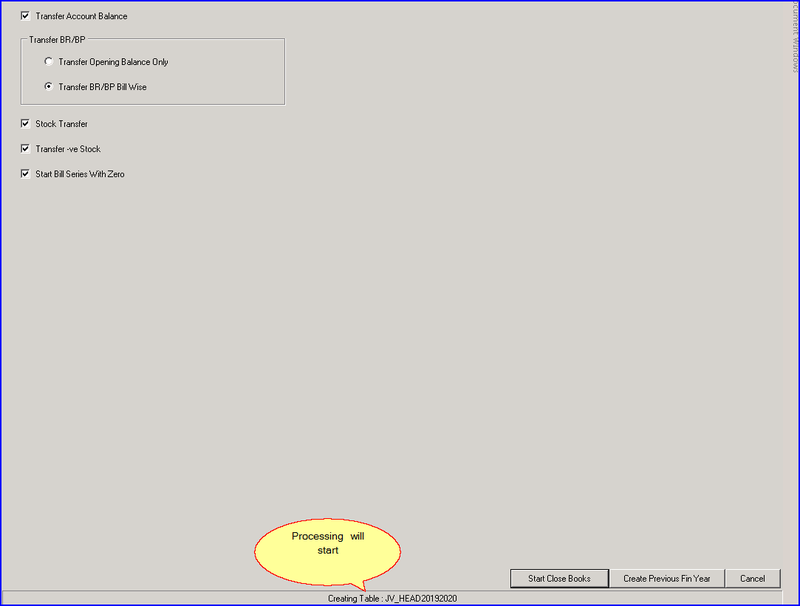 Step-3 Click on ‘Update 0 Records in New Fin Year‘ button and wait for the process to finish. 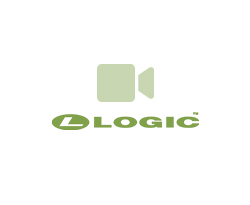 Step-1 Open the software & login with your admin account. 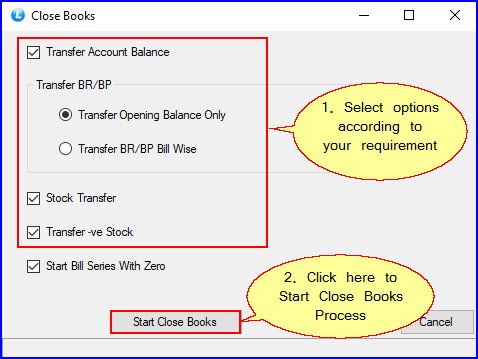 Step-2 Go to Utilities & click on Close Books option. 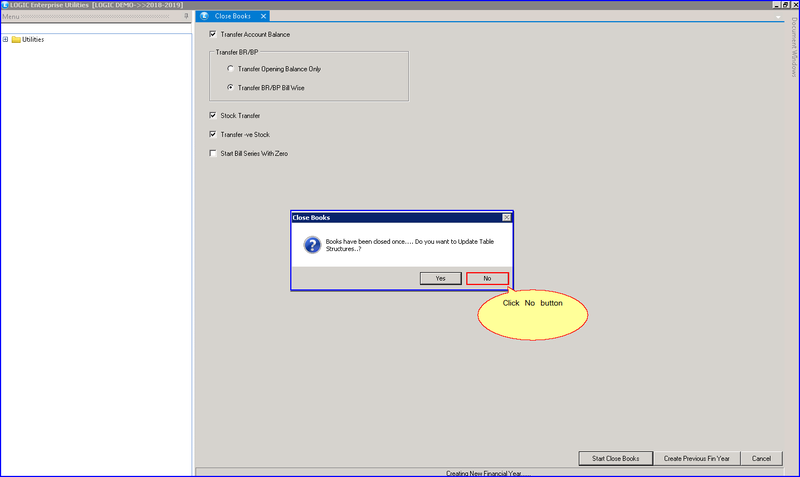 Step-4 Click on Start Close Books button. 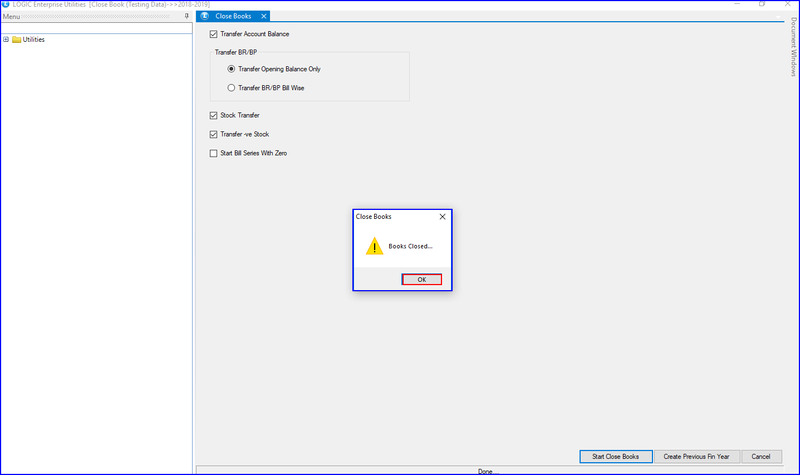 A ‘Warning Message Box’ will appear. Step-5 After the processing is complete, click on OK button. In case you do any changes in previous years data after you performed close books, then you have to perform the Close Books procedure again. 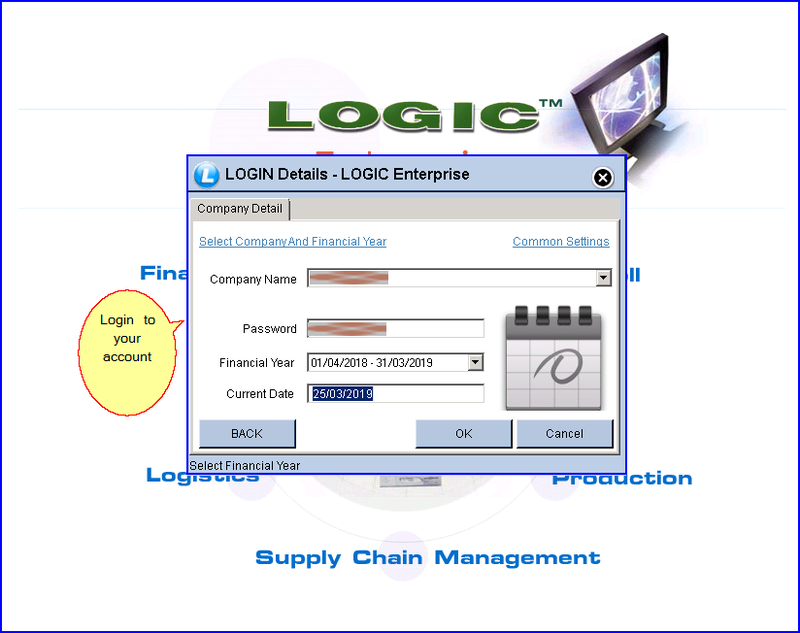 Step-1 Log in with your admin account in the financial year 2018-19. Then open Close Books. 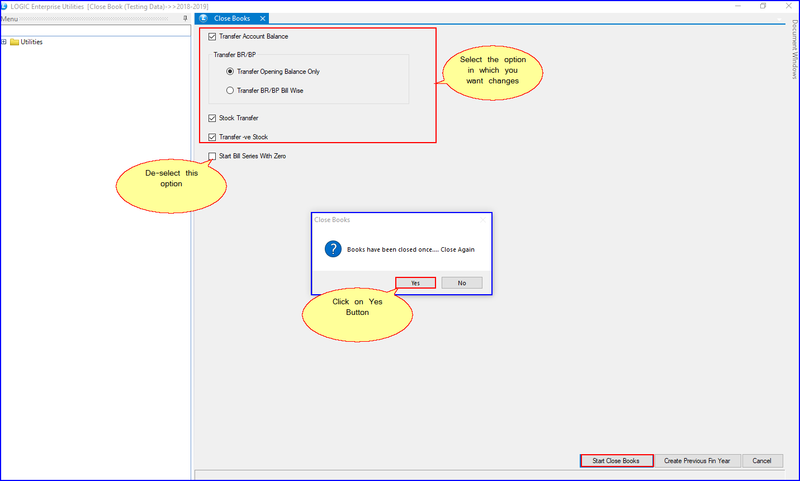 Select the options in which you need the changes and make sure to untick the “Start Bill Series with Zero” option. Then click on Yes button to close books again. 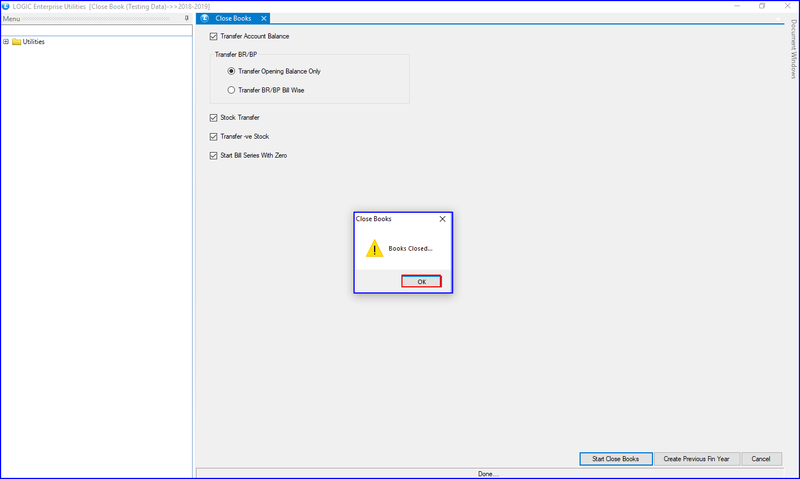 Step-2 A new warning message will appear asking you to update the table structure. 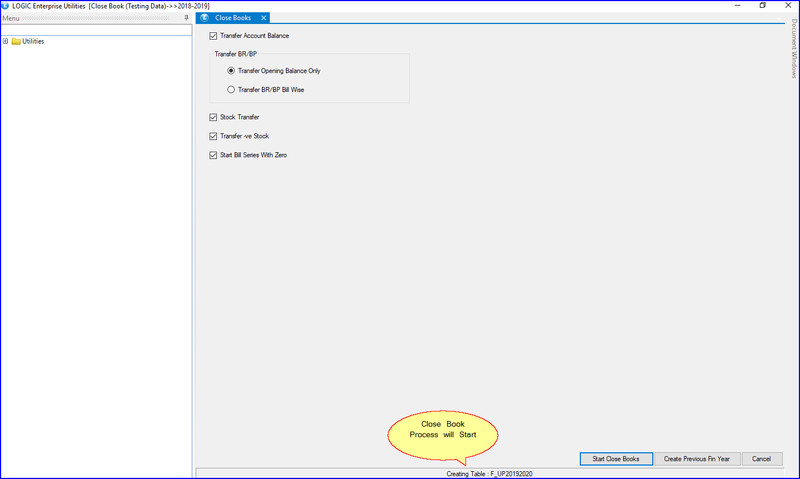 Click on No Button (it’s not required because table structure is already updated when you performed close books for the first time). Step-3 Changes that will occur in the Stock of 2018-19 will also affect the Stock of the Year 2019-20. 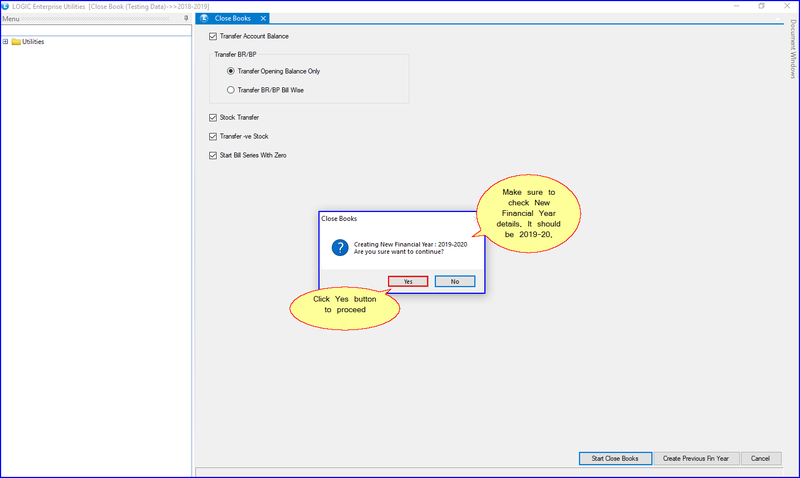 Click on Yes button to begin Close Books process. 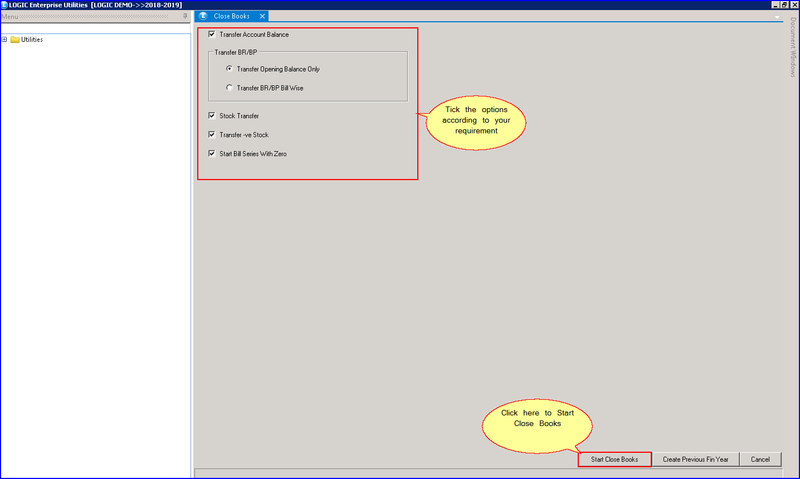 After the close books process finishes, click on the Ok button.